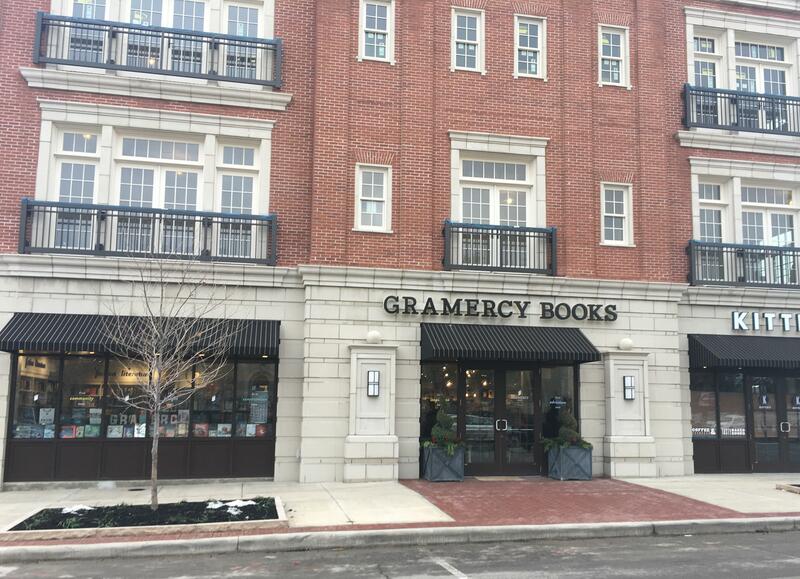 Linda Kass will open Gramercy Books this week at 2424 E. Main Street in Bexley, Ohio, a suburb close to downtown Columbus. Gramercy Books fulfills the journalist and author's long-held dream "to develop an adventurous retail experience for book lovers that also serves as a destination for conversation and connectivity," the store said. The 3,000-square-foot store will also feature a new café concept from Columbus café and bakery Kittie's. A grand opening weekend celebration is planned for January 27-29. "There is no better place than within the walls of a bookstore to foster communication and engage our communities," Kass said. "Gramercy Books seeks to be that kind of community builder." Kass, who recently published the novel Tasa's Song (She Writes Press), grew up on the east side of Columbus. "About 20 years ago, my husband and I went to the Panhandle of Florida for the first time to a community called Seaside," she recalled. "And I fell in love with a bookstore in this beach community called Sundog Books, owned by a couple, Linda and Bob White. So the idea of owning a bookstore someday was seeded then." A few years ago, when a new condo building with retail space on the first floor was being planned for Bexley, "it presented just the opportunity I was waiting for," she added. In developing Gramercy Books, her business partner is longtime bookseller John Gaylord, who is a part owner and general manager. Gaylord has conceived, opened and operated 24 bookstores during his 47 years in the bookselling business, including 15 Little Professor Book Centers and the Gaylord Companies. The Gramercy team also includes store manager Debbie Boggs, who has more than 20 years of book merchandising experience. "With the help of Paz & Associates, a local space designer named Nick Magoto whom I've known for years, and inspiration from many bookstore visits across the country, we've created a cozy, warm space that I think customers will love," Kass said. Complementing the bookstore, the second location of Kittie's Cakes will open Friday. 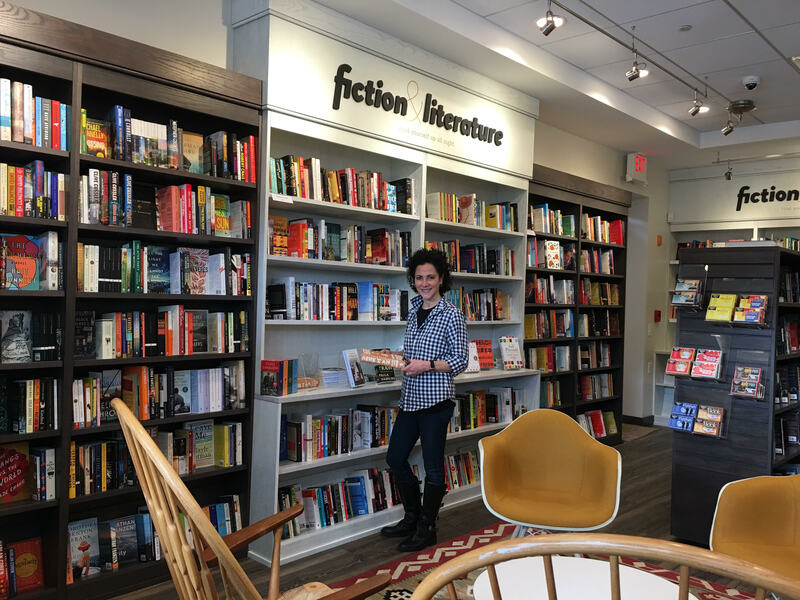 Donna Paz Kaufman of the Bookstore Training Group of Paz & Associates, which helped design Gramercy Books, said, "The synergy between the reading and cafe cultures has been a proven winner in bookstores. The combination offers what many people crave these days: a third place that offers authenticity and an opportunity to make human connections." Gramercy Books plans to host ongoing events for the community beginning in February, including a bimonthly Story Time on Sundays at noon, a monthly Author Night, a Songwriter series and a monthly poetry night. The store will also periodically present Gramercy Salon@2424, a program of variable format tied to current books, films and issues, in partnership with organizations like Bexley Public Library, the Drexel Theater and area universities. Kass noted that the "experience of creating a vision for the store and seeing it realized has been wonderful. Along with curating the store with high quality books that are easy to find, I've learned that the best customer experience is a result of a capable staff who are passionate and knowledgeable about books, and curated events that make the store a gathering place for the community. Gramercy Books strives to do both and more. "I am fortunate to have a strong team with partner John Gaylord and store manager Debbie Boggs. As a writer who has been in love with books as long as I can remember, I was responsible for the vision of Gramercy Books and have focused on the specially curated sections. John has decades of experience in the financial operations to build success, and Debbie is a wonderful merchandiser. We are a great team." Julia A. Reidhead has been named president of W.W. Norton, replacing W. Drake McFeely, who remains chairman, a position he's held since 2000. Most recently v-p and publishing director of the college department, Reidhead, who joined Norton in 1983, is the sixth president of the 93-year-old company and the first woman in that role. She also becomes president and director of the National Book Company, Norton's distribution center in Scranton, Pa., and of Liveright Publishing, a Norton subsidiary. 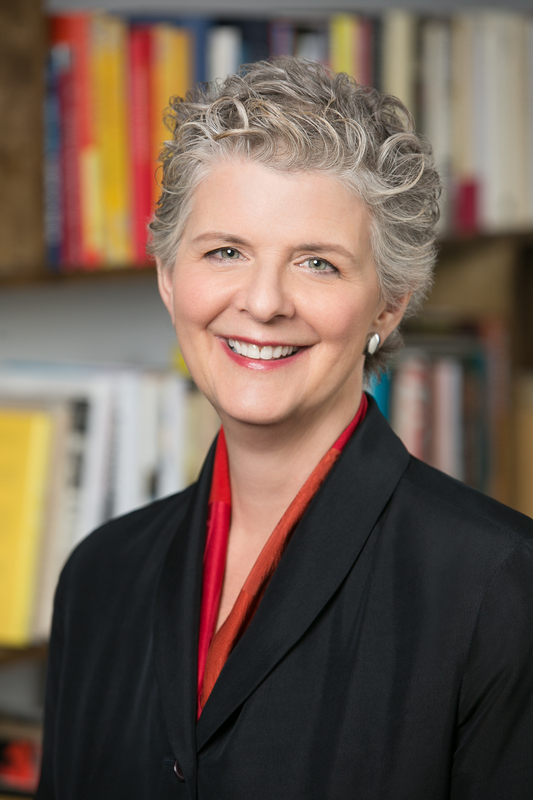 In addition, she chairs the board of governors of Yale University Press. McFeely, who had been president since 1994, commented: "Julia Reidhead, who has made her entire publishing career here at Norton, embodies all the values we hold dear: an abiding love of books and literature, pride in and dedication to the editorial process, a commitment to innovation (in particular, a deep understanding of the new avenues that digital media have opened), and above all, a passion for our status as independent publishers. With Julia at the helm, along with a rising and stellar team of senior managers, I feel exceedingly optimistic about the future of this great publishing house." Reidhead said: "To be joining Drake McFeely in the overall management of this firm is a huge honor and a great joy. My colleagues and I are as proud of our independence and employee-ownership as we are of publishing distinctive books and digital media. I intend to uphold these qualities as we move toward Norton’s second century." Reidhead joined Norton 33 years ago as a traveling college sales representative covering Ohio, Kentucky and Indiana. In 1984, she became assistant advertising manager of Norton's college department, and in 1986 became advertising manager. In 1988, she joined the editorial staff as associate editor for foreign language and freshman composition, then became editor, literature and composition, and in 1993, senior English editor, responsible for the Norton Anthologies. In 1999, she became associate director of the college department, editorial director in 2007, and publishing director in 2014. She was named a v-p in 1993 and was elected to the board of directors in 1996. Grand Central president and publisher Jamie Raab is stepping down after 30 years with the company and its predecessor, Warner Books. Michael Pietsch, Hachette Book Group CEO, said, "A strong leader with a long record of success, Jamie is also a wonderful colleague and friend to many of us here at HBG, and she has led the division with dedication and passion for 18 years as GCP's publisher.... [she] edited and published innumerable successful books. 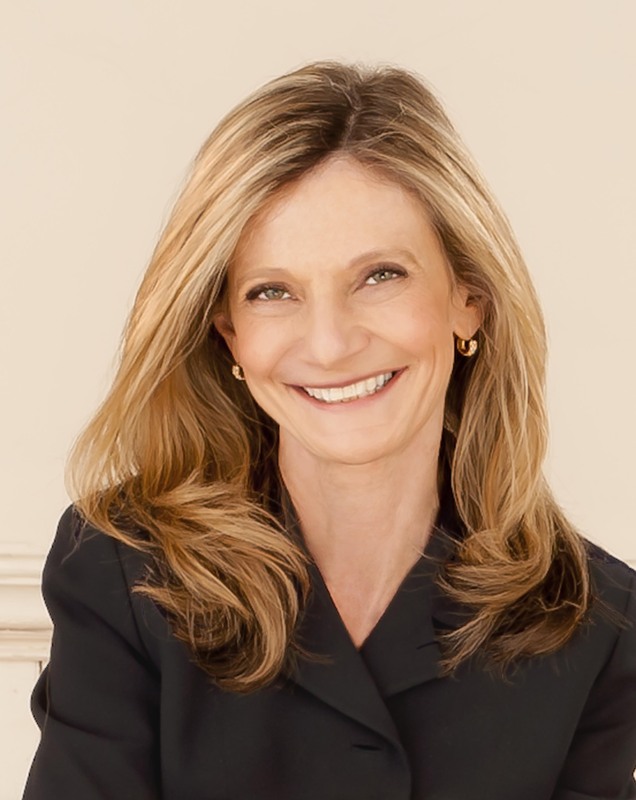 She was both editor and publisher for bestsellers by Sandra Brown, Stephen Colbert, Nelson DeMille, Brad Meltzer, Michael Moore, Robin Roberts, Amy Sedaris, Nicholas Sparks, and Jon Stewart, and, as publisher, has overseen years of growth and innovation, including the re-branding of the division after Hachette Livre's acquisition of the Time Warner Book Group, the launch of the imprints Grand Central Life & Style and Twelve, and an expanded romance program under the Forever imprint." Raab said, "I've had a terrific career here, and after a three-decade tenure, the time seems right to step down. It's very tough to say farewell to colleagues and authors I admire and have loved working with, but change is always energizing, and the prospect of new adventures and opportunities is alluring. I am extremely proud of all we've accomplished together here at HBG, and feel absolutely confident that GCP will continue to thrive, expand and move in exciting new directions under new leadership in the years ahead." Deb Futter, v-p and editor-in-chief of hardcovers for Grand Central and publisher of Twelve, is also leaving. Pietsch commented: "Since Deb's arrival in 2007, she has done a remarkable job of reshaping and adding dimension to the list, bringing in and working with such outstanding talent as Ellen DeGeneres, Pete Dexter, Barbara Ehrenreich, Jane Hamilton, Noah Hawley, Jean Hanff Korelitz, Min Jin Lee, Steve Martin, and Scott Turow, among many others. Deb expanded her role in 2013 when she became publisher of Twelve and revitalized the imprint together with editorial director Sean Desmond." Pietsch emphasized that Grand Central is "having a strong year with tremendous bestsellers from David Baldacci, Sandra Brown, Brad Meltzer, Douglas Preston & Lincoln Child, and Nicholas Sparks, and breakouts such as Hamilton and Noah Hawley's Before the Fall. HBG is a home for strong, independent divisions whose publishers lead distinct editorial, marketing, and publicity teams, and I look forward to introducing a new publisher and editor-in-chief for GCP shortly." The American Booksellers Association has named 72 booksellers as winners of scholarships to the ABA's annual Winter Institute this coming January in Minneapolis, Minn. Bookselling This Week reported that 64 are recipients of scholarships from Wi12's publisher sponsors, covering the conference fee, up to four nights at the Hyatt Regency Minneapolis, and transportation costs up to $400. "We are immensely grateful to our publisher sponsors for their generous support, without which the Winter Institute would not be possible," said ABA development officer Mark Nichols. "A record number of bookseller scholarship recipients will be able to attend the event in 2017, and we encourage all ABA members to join us in thanking our publisher sponsors for their ongoing commitment to independent bookselling." Five ABA members were given scholarships by the Book Industry Charitable Foundation and two booksellers will be attending Wi12 on scholarships honoring the late Avin Mark Domnitz, ABA's CEO from 1997 to 2009. Candlewick Press has again awarded a scholarship to a bookseller active in the Candlewick Handselling Indie Recognition Program. A gathering of scholarship recipients and their sponsors is planned for Friday evening, January 27, at the Open Book, prior to the Wi12 Welcome Reception. 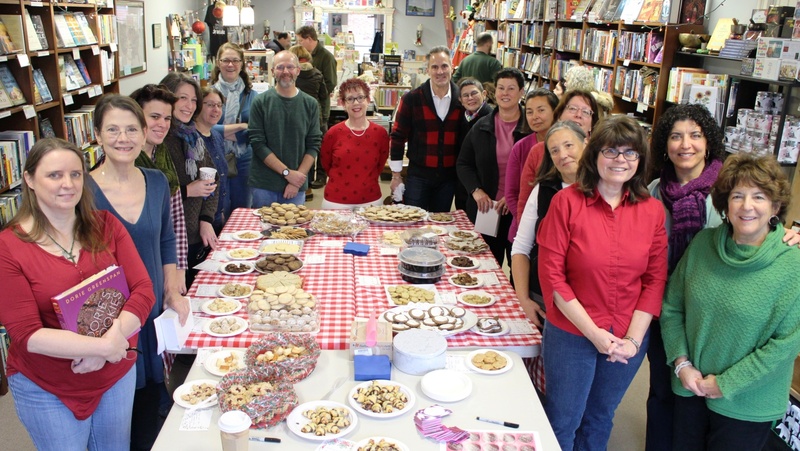 On Sunday, Byrd's Books in Bethel, Conn., celebrated five years in business with a "cookie swap" and author talk with Dorie Greenspan--22 people baked cookies from her new book, Dorie's Cookies (Rux Martin/HMH), and brought them to taste and share. A portion of the proceeds from the event were donated to the Danbury Animal Welfare Society. 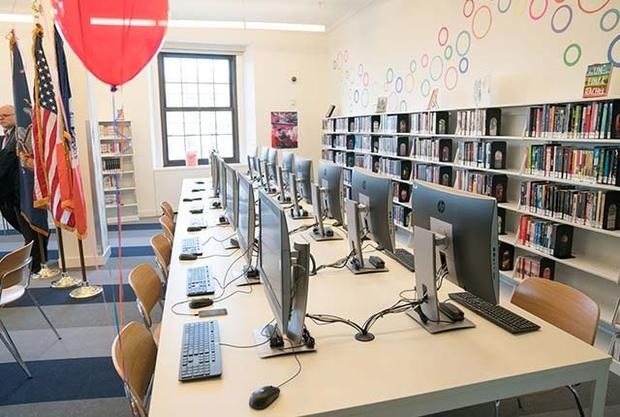 The New York Public Library has converted a former custodian apartment on the third floor of its Washington Heights branch into "a vehicle of the future: It's a teen center and programming space, designed to nurture adolescents interest in technology," Mental Floss reported. After undergoing a $4.4 million renovation, the space opened December 2 and is "for after-school programs, media and computer programs, and general use. There are also facilities and equipment for adult learners." Currently, 13 vacant NYPL apartments remain, and five of them are slated for renovations, including locations in the Bronx, Harlem, Upper Manhattan and Staten Island, Mental Floss wrote. "True story... just before holiday break, McIntyre's Books will deliver a wrapped new book to every kindergartner and first grade student in Chatham County public schools. 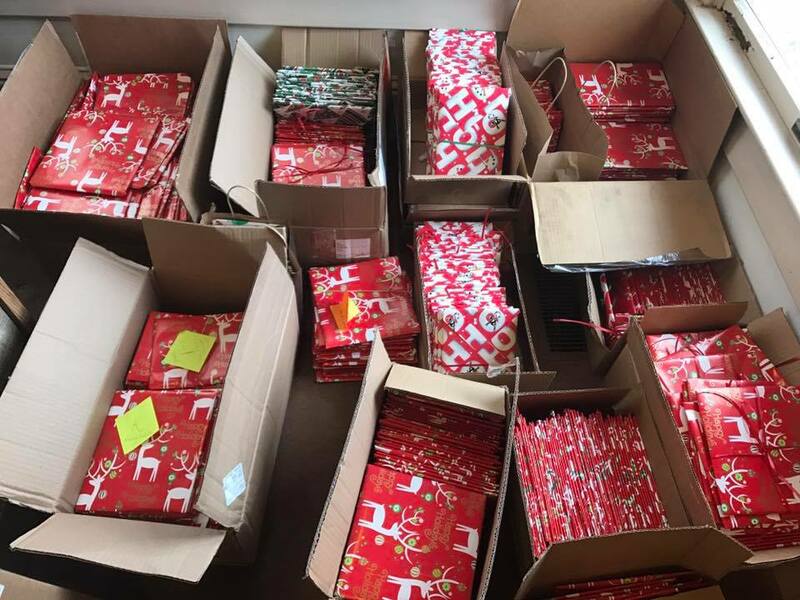 Several of our customers jumped to not only sponsor classroom gifts, but also to wrap over 1,200 books. We are expecting some students from Pollard this afternoon, and they may well finish the job. This gift of a book may be the first in some homes. #getindie #shoplocal #kindnesscounts #literacystartsathome." Bunmi Western has joined Ingram Publisher Services as sales and marketing director in the London office. She will work with customers across IPS, Perseus Distribution, Publishers Group West, Consortium and Legato. Most recently, she held leadership positions with Atlantic Books, and for more than six years, was the U.K. and international sales director for both print and digital sales. Amanda Aleksey has been promoted to the newly created position of manager, client relations for Ingram Publisher Services' international customers (IPS, Perseus Distribution, Publishers Group West, Consortium and Legato). She will be the liaison between client publishers and the international sales team. She was most recently international marketing manager. Before joining Ingram in 2015, she was media buyer and marketing coordinator at Knopf, editorial intern at Continuum International Publishing (now Bloomsbury Continuum), and agent assistant intern at Ayesha Pande Literary. The Ballad of Elva & Chester, Or: Mostly Their Fault by Adrian Archangelo (WildBlue Press). Fresh Air: Joel Grey, author of Master of Ceremonies: A Memoir (Flatiron Books, $27.99, 9781250057235). Harry: Andy Cohen, author of Superficial: More Adventures from the Andy Cohen Diaries (Holt, $27, 9781250116482). The View: Taraji P. Henson, co-author of Around the Way Girl: A Memoir (Atria/37 INK, $26, 9781501125997). Late Night with Seth Meyers: Mindy Kaling, author of Why Not Me? (Three Rivers Press, $16, 9780804138161). Irish artist and author Sara Baume's debut novel, Spill Simmer Falter Wither, won the £1,500 (about $1,900) Geoffrey Faber Memorial Prize, which was established in memory of the founder and first chairman of Faber & Faber, the Guardian reported. It is awarded to poetry and prose in alternate years. The judges said that Baume "brings to fiction the sensibility of a visual artist and a nature writer's skills of observation to create a novel that is tender and uncompromising, understated and profound. It looks anew at the neglected byways of human and animal nature, as well as the Irish countryside, to discover that 'even the tattered verges are depositories of celebration and devastation in unequal measure.' "
The Girl Before: A Novel by JP Delaney (Ballantine, $27, 9780425285046). "A page turner that is sure to be a hit. Each chapter alternates between two time periods. Back 'then,' there is Emma, looking for the perfect flat. Her agent suggests One Folgate Street, built by architect Edward Monkford. In present day, Jane, a single thirty-something also ends up on Folgate Street. Both women learn the sinister history of the property and readers won't know who to trust as Delaney's debut clutches you by the throat and won't let you go." --Kara Kohn, Plainfield Public Library District, Plainfield, Ill. The Dry: A Novel by Jane Harper (Flatiron Books, $25.99, 9781250105608). " 'Luke lied. You lied. Be at the funeral.' These eight words will change everything for Agent Aaron Falk, summoned by the father of his former best friend. It appears Luke went on a rampage, murdering his wife, son, and then himself. At Luke's father's request, Aaron agrees to look into the murders/suicide and learns that the small town has long held grudges and secrets that may be best kept hidden in this atmospheric, chilling complex tale of anger and revenge." --Jennifer Winberry, Hunterdon County Library, Flemington, N.J. Behind Her Eyes: A Novel by Sarah Pinborough (Flatiron Books, $25.99, 9781250111173). "Louise meets a charming man in a bar and is smitten. The attraction is mutual, but David confesses he is married. They go their separate ways ... until the next morning when Louise goes to work and realizes that the new psychiatrist who has been hired by the practice is David. Adele, David's wife, is struggling to keep their marriage alive, but David has tired of her lies. A friendship begins between Adele and Louise. David and Louise are still attracted to each other and the triangle is complete. This is not your average thriller. It is absolutely riveting!" --Mary Vernau, Tyler Public Library, Tyler, Tex. Books for Living by Will Schwalbe (Knopf, $25.95, 9780385353540). " 'Every book changes your life. So I like to ask: How is this book changing mine?' Schwalbe, author of The End of Your Life Book Club, focuses on a personal collection of books that changed his life. Each book he selects provides a lesson, a reminder as to how to live his life. Readers will remember favorite books, find new books to try, and lessons to think about. Schwalbe's book is warm, charming, and very personal. It's a book for all avid readers." --Lesa Holstine, Evansville Vanderburgh Public Library, Evansville, Ind. The Second Mrs. Hockaday: A Novel by Susan Rivers (Algonquin, $25.95, 9781616205812). "Placidia is seventeen when she marries Major Hockaday, an older man and recent widower with a child. After he is recalled to service in the Civil War, she must manage his farm and take care of his son and all with little help. When he returns, it is to find that she has given birth, and said to have murdered the child. Told in journal entries, letters, and court documents, we learn about her life and the answers to this puzzling and horrifically charged event. A dark book that highlights the amazing strength so many of these women had to develop." --Diane Scholl, Batavia Public Library, Batavia, Ill. The Fifth Petal: A Novel by Brunonia Barry (Crown, $27, 9781101905609). "Barry takes her readers back to Salem with a mesmerizing tale filled with familiar characters from her previous works and new ones as well. Towner Whitney and John Rafferty come to the aid of Callie Cahill as they attempt to piece together the circumstances surrounding the brutal murder of her mother while trying to keep herself from becoming a victim as well. This is a beautifully written story, full of twists and turns. Fans of The Lace Reader will love The Fifth Petal, though the book stands on its own and can be recommended to all readers." --Marianne Colton, Lockport Public Library, Lockport, N.Y. The Most Dangerous Place on Earth: A Novel by Lindsey Lee Johnson (Random House, $27, 9780812997279). "Not for the faint of heart, Johnson's first book is a beautifully crafted work that delves into the perils of teen-dom in a wealthy, insulated California neighborhood. The story opens with the suicide of an outcast middle-school boy. Fast forward to high school, where seemingly minor struggles of both teens and adults expose themselves to be deeply ominous, leaving few untouched by the ensuing tragedies. As the plot slowly builds, the intricate web of relationships that intertwine the lives of characters and the events that they experience become apparent, ultimately returning full circle." --Amy Christiansen, Jefferson County Public Library, Wheat Ridge, Colo.
Heartstone by Elle Katharine White (Harper Voyager, $15.99, 9780062451941). "A fun take on Pride and Prejudice in a fantasy setting. Merrybourne Manor has a gryphon infestation and has contracted with a band of Riders to kill them. As you can imagine, the main Rider is a little haughty and our heroine has a long memory. Familiar trials and tribulations occur with some detailed world-building, laying the groundwork for a sequel. 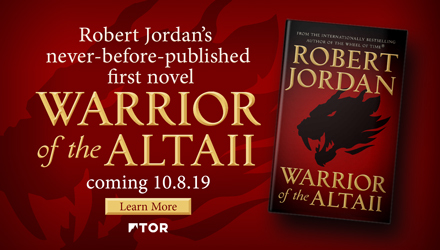 Good for readers who don't mind literary re-imaginings, love P&P, and Anne McCaffery's Pern novels." --Jenna Persick, Chester County Library, Exton, Pa.
Bea, an American studying Arabic, has traveled to Syria, as the country is slowly drifting toward civil war, to view a certain sacred text in its original language. The text, which tells the story of the lovers Leila and Qais, makes use of the famed 99 words for love in Arabic. Bea is impatient to see the text with her own eyes, but while she waits (practicing her Arabic and requesting the text at the National Library again and again), she bears witness to a different, real-life love story. The relationship between Nisrine, her host family's Indonesian maid, and Adel, a young policeman who catches first Bea's attention and then Nisrine's, will have ramifications for everyone involved, and will alter Bea's perspective on her work, her host country and the nature of love. 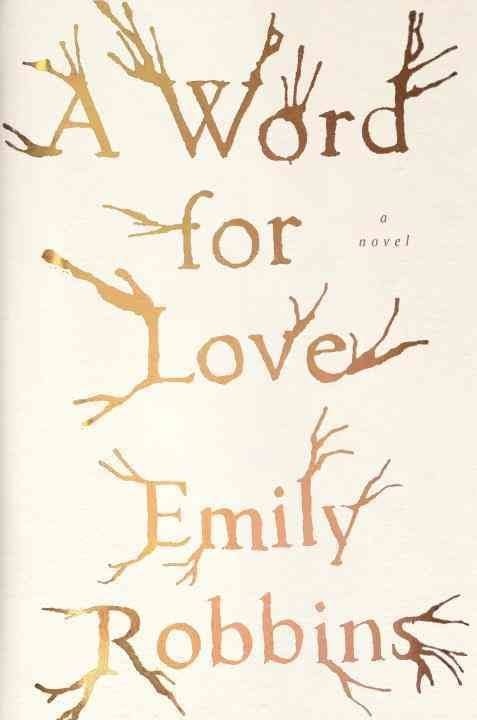 Emily Robbins weaves a luminous, heartbreaking narrative in her debut novel, A Word for Love. "I began this story, in the hope that I could do it justice, and clear my conscience," Bea says at the outset. She describes her host family: Madame, who worries about Bea, Nisrine and her three children equally; Madame's husband, Baba, whose political leanings will land him in trouble with the government; Nisrine, thoughtful and longing for her home; and Adel, assigned to the police station next to the family's residence. Madame, Bea, Nisrine and the children spend most of their time indoors, and Robbins draws out the tension between public and private lives, between love lived out in close proximity and love imagined over a distance. Meanwhile, Bea's past, and her urgent need for love and validation, is gradually revealed, as is Nisrine's family history in Indonesia and Adel's conflicted relationship with his powerful father. Although Bea initially hopes to play the role of Leila to Adel's Qais, she finds herself instead cast as the shepherd who befriends Qais: observer, confidante, compassionate witness. Bea watches the slow growth of the love between Nisrine and Adel: brief conversations, scraps of poetry, the "language that develops in love." Lonely, yet comforted by her friendship with Nisrine and her role in the family, Bea looks for ways to "grow [her] heart; that is, to feel more, and to find more things to love." Her actions and Adel's have consequences she never imagined, and while Bea does find more things (and people) to love, it inevitably causes her pain. Shelf Talker: A luminous, bittersweet novel about an American student who becomes entangled in the lives of her Syrian host family.